After a semester of studying, I finally got to play and work with some of the projects I had on hold. 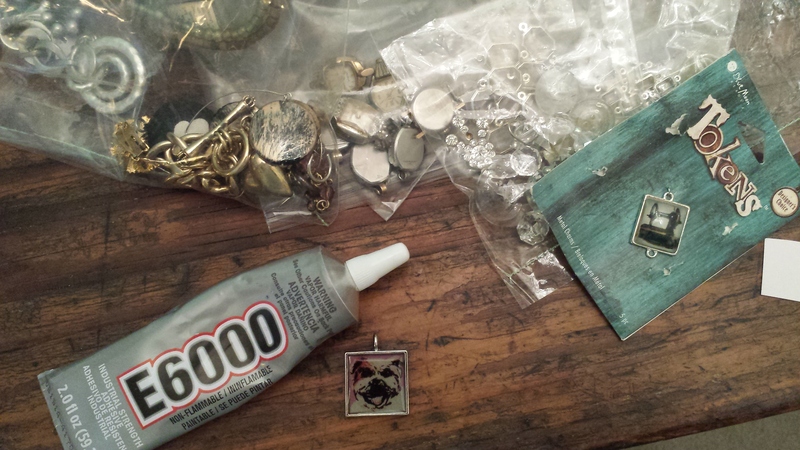 I was invited to spend some time with a friend in her art studio just playing with our jewelry projects. 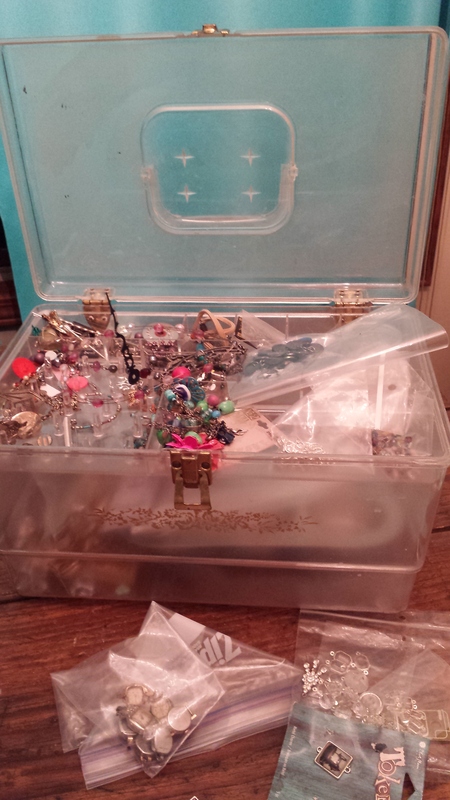 I packed my junk jewelry box and my favorite tools and glue . 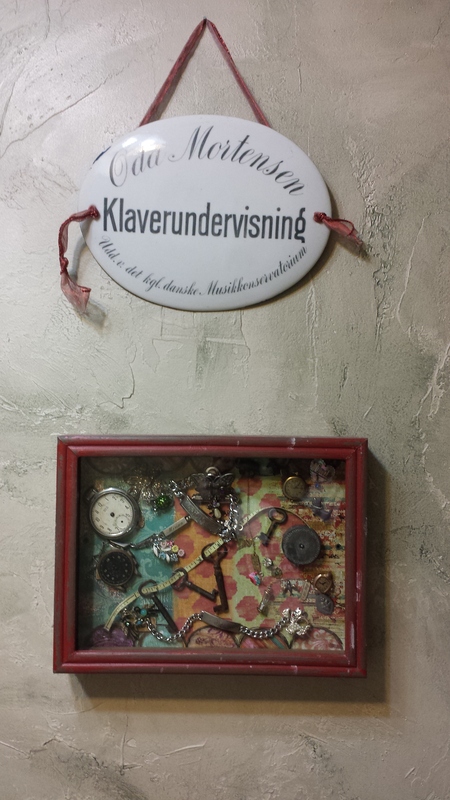 One of my ongoing projects is how to use and display some of the vintage jewelry I have collected over the years. I love to dig in the trays and boxes filled with fun, shiny and quirky cast off pieces, but really, I just want to be able to see it and use it. A friend gave me a lovely shadow box as a gift last year that had a colorful background already in place, all I had to do was lay out some of my favorite pieces and glue them to the back of the frame. A few hours later, I had a lovely art piece to hang in my bathroom. 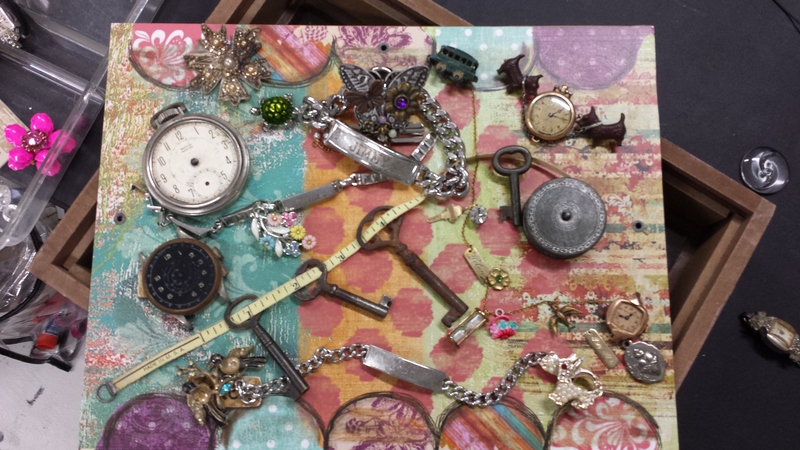 I love seeing the colors and texture and design in each of these vintage trinkets. I oogle my prized collection (prized= shiny, personal, colorful, & vintage) while I blow my hair dry or brush my teeth. So much fun to look at and use what you love. E-6000 Glue -I love this glue- for everything you can imagine!